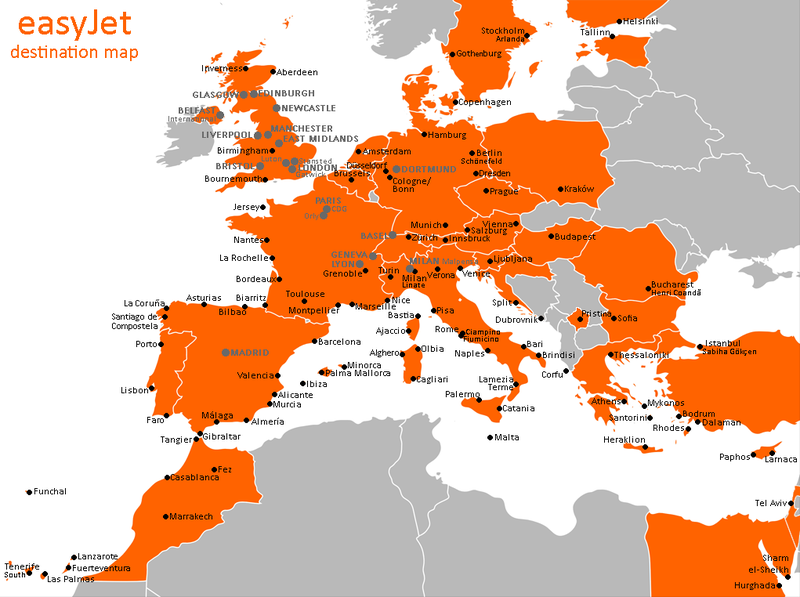 The low-cost budget airline EasyJet operates eleven flights per day departing from Newcastle International Airport. That’s more than 450,000 passengers each year flying direct to and from Alicante, Amsterdam, Barcelona, Belfast International, Bristol, Faro, Geneva, Jersey (as of yesterday 26th March 2013), Málaga, Malta, Minorca, Nice and Palma de Mallorca. Low-cost airline EasyJet has celebrated its tenth anniversary at Newcastle International Airport, Woolsington, Newcastle upon Tyne, NE13 8BZ with its inaugural flight to Jersey. Since it began operating from Newcastle upon Tyne in 2003, more than 13 million passengers have travelled through the airport with the airline. It initially served just seven destinations, but Jersey is now its thirteenth.